I have previously blogged about APi CAE's summer camp. 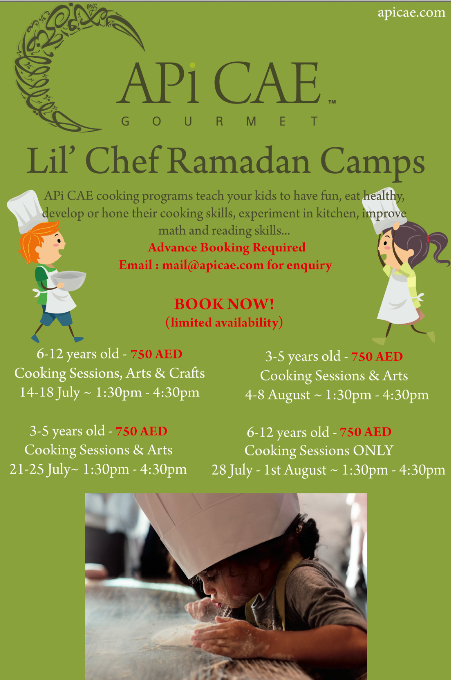 Now APi CAE is offering a cooking camp during Ramadan. The camp not only offers cooking lessons for kids; they also offer lectures on how to eat healthy, arts and crafts, math and reading activities. The activities will last for one week during the Ramadan season and participants will be grouped into different age categories. If you are looking for activities that will keep your little ones busy, maybe you can check this out.